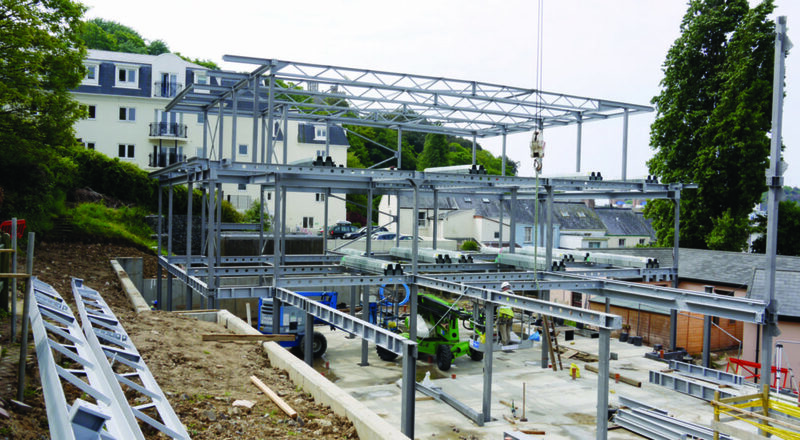 This was one of the most difficult projects we’ve ever handled – being on the very tight site at the JSPCA centre in St Helier, Jersey. 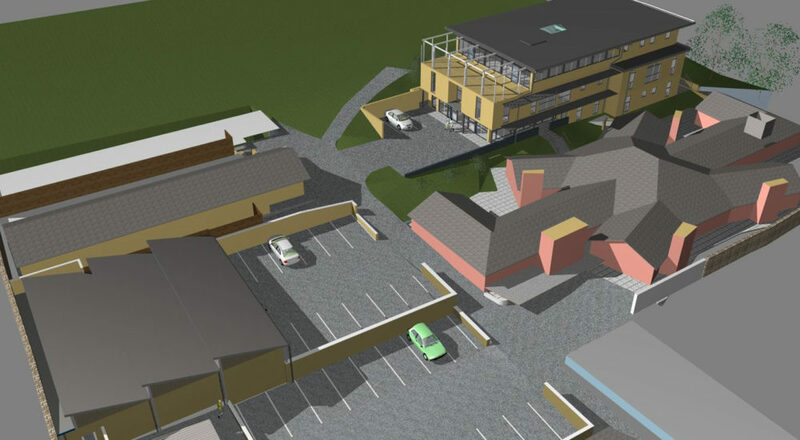 Those who know the site are aware of its restrictions, including limited access and being built on a hill, immediately adjacent to a children’s nursery. 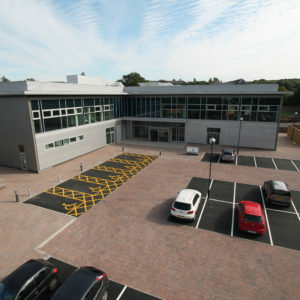 The confines of the site and the difficulties of working around parents dropping their children off to school on a daily basis was enormous, however the contractor and ourselves worked diligently to strive for this wonderful building to be completed virtually on time and certainly on budget. ACD Projects have a huge amount of experience in dealing with the Channel Islands Local Authority, which can often prove to be much more problematic than mainland UK. 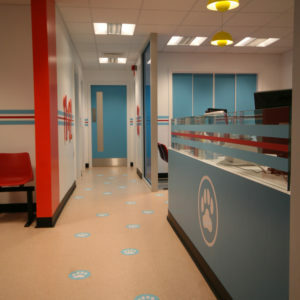 The aim of the project was to replace the 1938 dogs’ hospital and associated small animal rooms, with a modern veterinary hospital suite comprising multiple animal wards, hydrotherapy, X-ray and ultra sound facilities, a high-tech operating theatre and consultation rooms. Many areas of the site had become run down and dilapidated, after several decades of heavy usage, and the whole site generally needed a facelift. 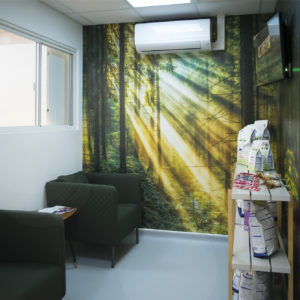 A more relaxed and calm environment was required, aiding the animals’ recovery, especially after the stress of an operation or for animals recovering from abusive owners. 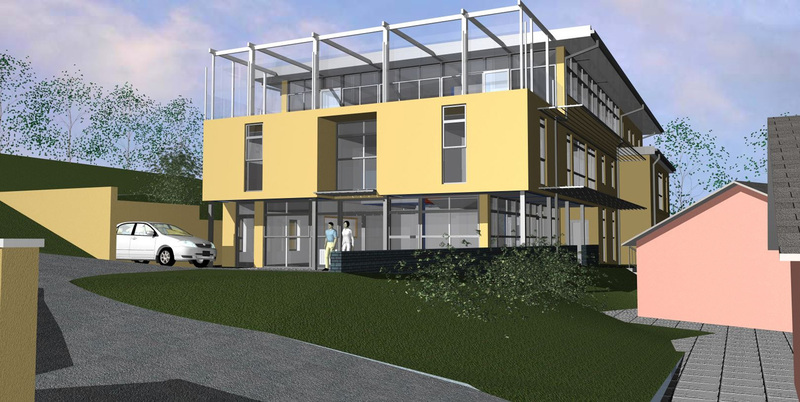 The new building will allow the JSPCA to provide dedicated species rooms with environmental enrichment which can be tailored direct for each species’ needs. 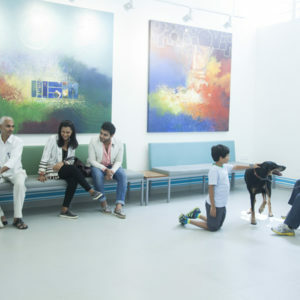 This allows for improved care of animals while providing a modern, resource-efficient building that will help the Society maximise its resources while moving forward into the 21st Century. 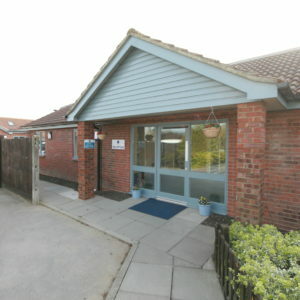 The building has been designed to cater for the next 50 years of the Society’s needs in the field of small animal and veterinary care. 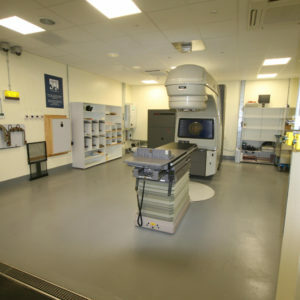 The veterinary suite is now the most advanced of its kind in the Channel Islands. 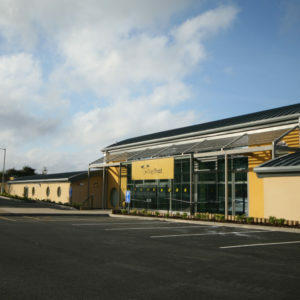 A café has been formed on the top floor of the building, which also has an outdoor terracing area, for visitors and staff of the centre. This affords spectacular views over St Helier. 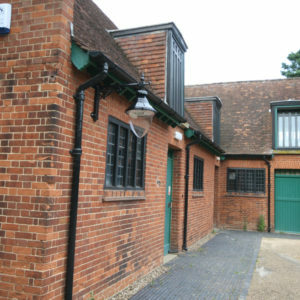 Office areas and training rooms have been provided on the middle floor, for administration and training of animal centre staff. Careful thought in the planning stages ensured that the animals had more space to move, with each species having their own dedicated rooms, adapted to suit the climate they would be used to. 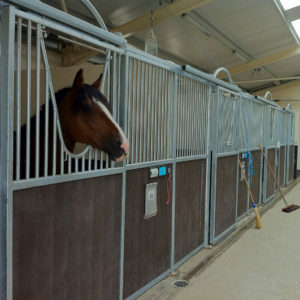 Safe and clean surroundings are very important when looking after such a vast variety of animals and all rooms were designed to minimise the risk and spread of disease, as much as it is possible, with maximum comfort for the animal. 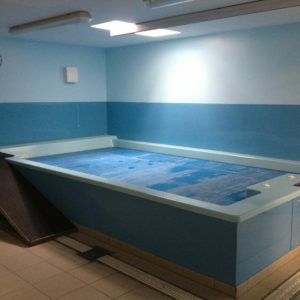 All areas were also designed to be sealed and waterproof for regular washing down. 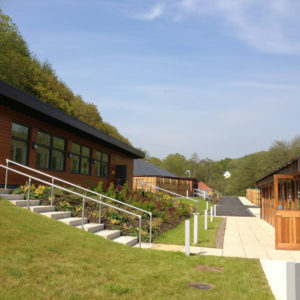 The new improved facilities within this impressive structure will not only change the lives of the animals but give the staff that put their heart and soul into the work they do, a more pleasurable place to work. 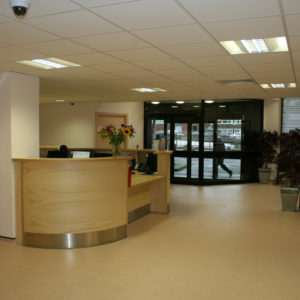 Natural light has been used where possible including a large central rooflight with atrium which penetrates the upper two floors of the building. 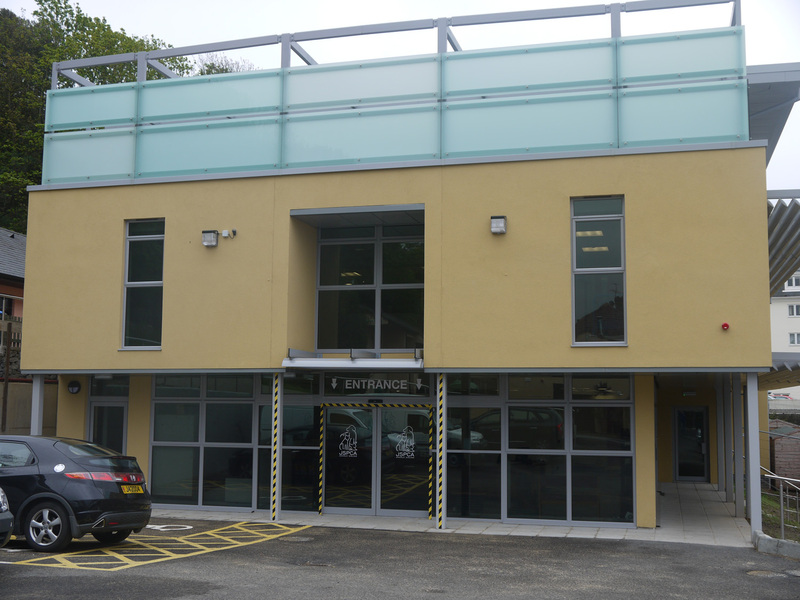 A front atrium has been formed over the main entrance and reception and high levels of glazing to the West elevation give a lot of natural light and impressive views over St Helier. 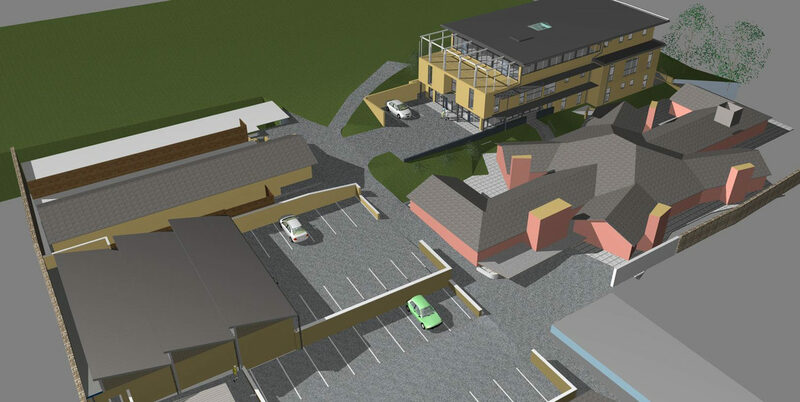 Shading has been provided using large roof overhangs and ‘designed in’ overhangs of the building. Brise Soleils and tinted glass have been used to avoid solar overheating of these areas. 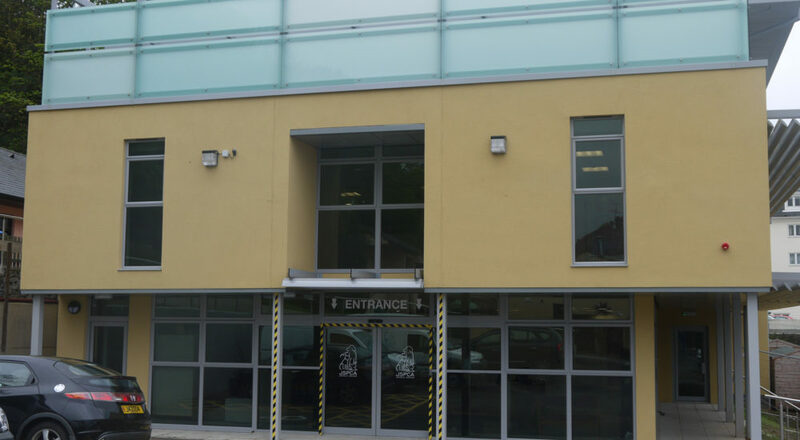 Car parking space numbers have been increased, including disabled parking, and general access to parking is vastly improved, as well as access for larger delivery vehicles. 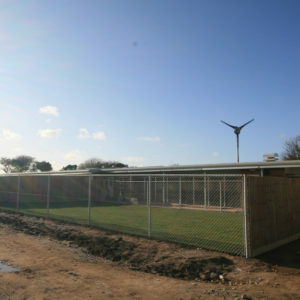 A ‘Covered Run’ building was also built during this project, which is 250m2 and allows weatherproof exercise for Dog Walking. This building also doubles up as an overspill car park. 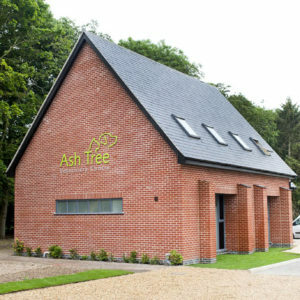 The building has been designed to have natural ventilation and custom-made acoustic gable louvers were built into the Northlights (bespoke windows designed to take in as much natural daylight as possible from the ‘North Side’ of a building), so that noise from dog exercise was reduced. 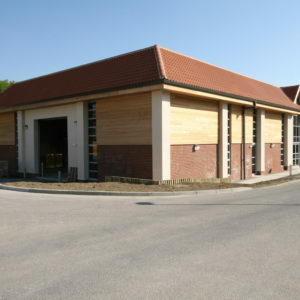 One of the main objectives of the build was to provide an eco-friendly, sustainable, yet highly specialised facility that also offered the flexibility required. 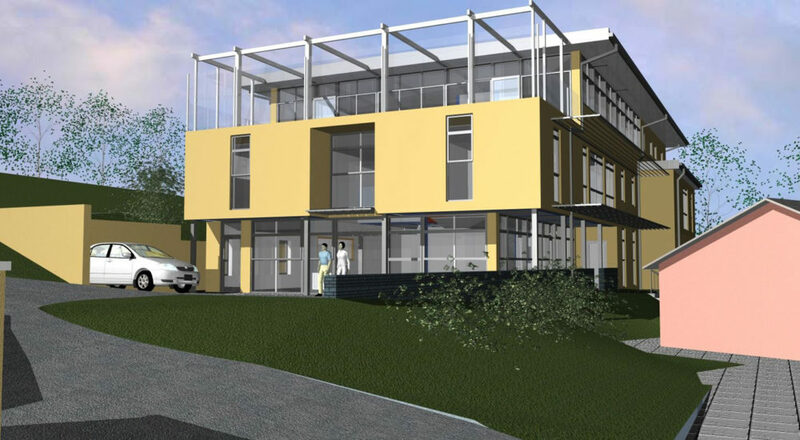 Specialist glazing, rendering system, high spec insulation, solar roof membrane, solar collectors, ground source heat pumps and associated efficient M&E systems, were utilised to offer the sustainability of the building. 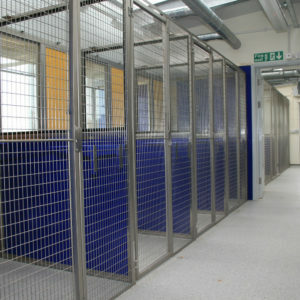 This will mean that energy use costs of the building for the animal charity are at the minimum. 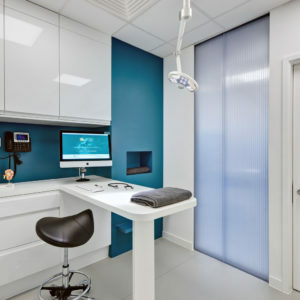 Specialist suppliers such as Techniks/Syspal, Shoreline, Miele and Labflex companies, well advanced in the technologies required, were specified by ACD Projects and managed by Deerglen. 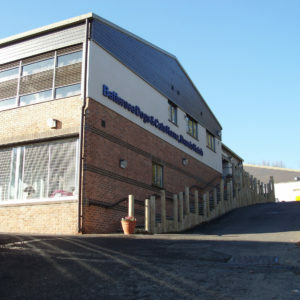 Health and Safety was a major factor on site and one of the main risks posed was the neighbouring children’s nursey with whom the JSPCA shared some access. Careful coordination between the CEO of the JSPCA Major Stephen Coleman and Deerglen was required to allow the safe passage of over 20 children twice a day as well as JSPCA staff and animals who also had to move through a live site. 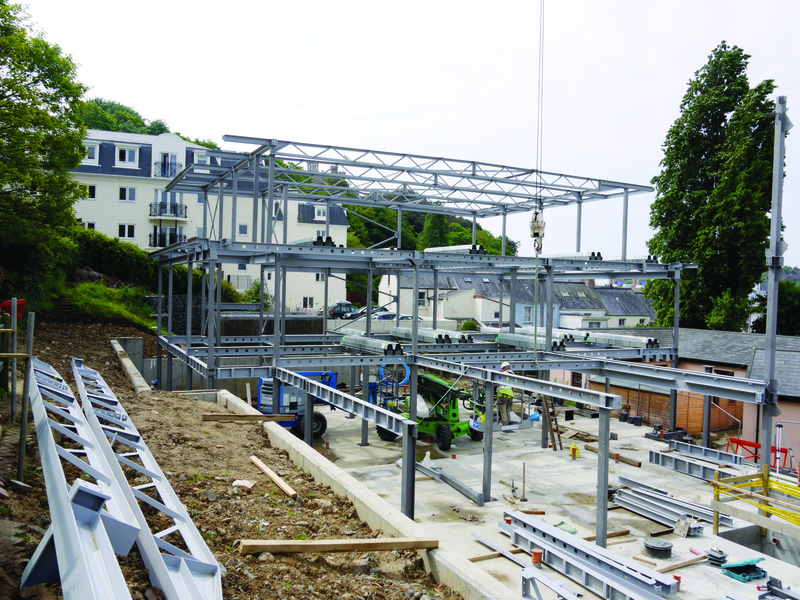 The project lasted sixteen months on site and completed without a single incident. Despite all the difficulties posed, the project was completed safely, virtually on time, and within budget. The facility is the fruition of many months of hard work, coordination and cooperation by all those involved.